Todd Plyer and Associates join Potter & Co.
Feb. 5. Potter & Co., an accounting and advisory firm with offices in Concord, Mooresville, Monroe and Charlotte, welcomes Todd Plyler along with five other accounting professionals formerly with Collins, Boike & Moore. “I am so excited to bring our practice and professionals to Potter,” Todd Plyler said. 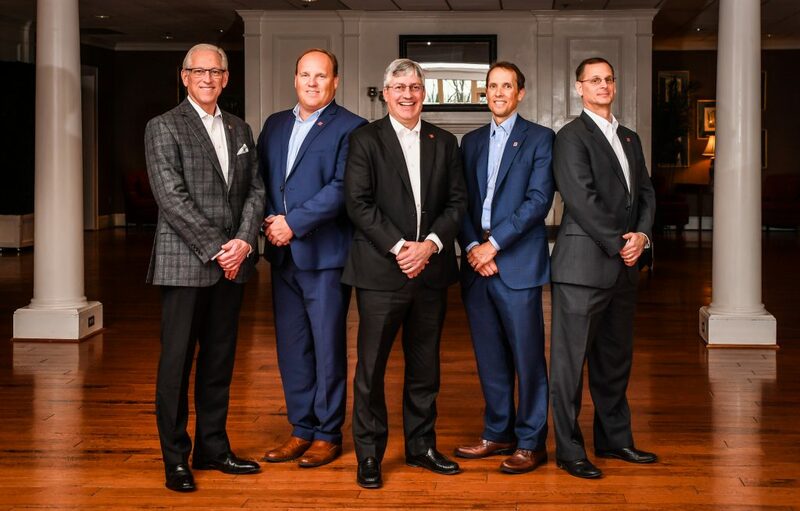 “We felt that Potter’s values and services matched well with ours.” Plyler and his associates focus on serving closely held businesses, including start-up and fast-track entrepreneurs. Potter & Company is a regional CPA firm with 40 professionals including five partners. Sam Leder, in the center of the photo, is also a Concord City Councilman. Ron Shuntich, far right in the photo, is a new partner in the Mooresville office. He is a tax specialist as well as a CPA with more than 20 years experience. A UNC-Charlotte grad, he has been with Potter & Co. for five years.